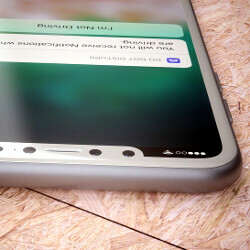 Industry sources have been tipping that Apple might move to OLED for good, and is looking to diversify with LG as a supply alternative to Samsung, fronting it no less than $2.7 billion as an advance payment for securing a production line dedicated entirely to iPhone displays, starting in 2019. Where there is smoke, there is fire, and now famed Apple analyst Ming-Chi Kuo from KGI Securities is confirming in his own turn that Apple is indeed working with LG on OLED panel supplies, and sooner. Samsung is now Apple’s sole iPhone OLED panel supplier across front- and back-end manufacturing. We think LGD [LG Display] could institute a similar production model. However, considering its strengths are in front-end process, collaborating with a specialized back- end process provider like GIS will, in our view, significantly boost iPhone OLED panel output rate. GIS likely favored to team up with LGD in OLED for credentials in lamination, experience with MegaSite & advantages of vertical integration with Hon Hai. Apple is said to have secured at least 45,000 units of mother glass for 6.5th-generation OLED panels a month from LG, which can be cut into quite a lot of iPhone displays. The rumored $2.7 billion investment by Apple is a win-win situation, as LG gets to offset some of the risks related to such a huge capital outlay. Apple, in its turn, gets to diversify supply, and ensure a steady stream of OLED panels that apparently are a big part of its vision for the future of iPhones. How are those grey widescreen lines? Enjoying them? The thing is LG is going to supply a number of OEMs right now with their OLED displays, including themselves. For instance the V30 in the fall will have OLED panels, Google's new Pixels are using LG OLED panels this time, plus HTC is rumored to get some as well in the next few months. So Apple is late in the game when it comes to acquiring LG OLED panels. Well at least Apple paid Samsung 9.7 billion for panels. It's funny because even the G6 screen doesn't look amazing like the S7 or S8, so it is difficult to believe that that the screens will look just as good or better than samsung's.